Billboard told rapper Lil Nas X to take his horse and giddy up when they decided to remove his viral hit ‘Old Town Road’ from their country charts because they determined it wasn’t country enough. The song, which debuted on the charts just three weeks ago, has been turned into a meme on social media app Tik Tok. It features references to the Western-themed video game ‘Red Dead Redemption 2,’ and plenty of cowboy imagery in its lyrics, but also a trap beat and a softly plucked banjo from a Nine Inch Nails sample. The song debuted at No 19 on Billboard’s Hot Country chart for the week of March 16, between Kelsea Ballerini and Morgan Wallen. In a story first reported by Rolling Stone, Billboard removed the song from the country chart, although it remains on rap/hip hop charts and reached 32 on the all genre Hot 100 chart. Representatives for Lil Nas X did not immediately have a comment when reached on Thursday. Billboard also addressed critics who suggested that the rapper was being singled out because of his race, because pop crossover songs are routinely included on country charts. “Billboard’s decision to take the song off of the country chart had absolutely nothing to do with the race of the artist,” the statement said. 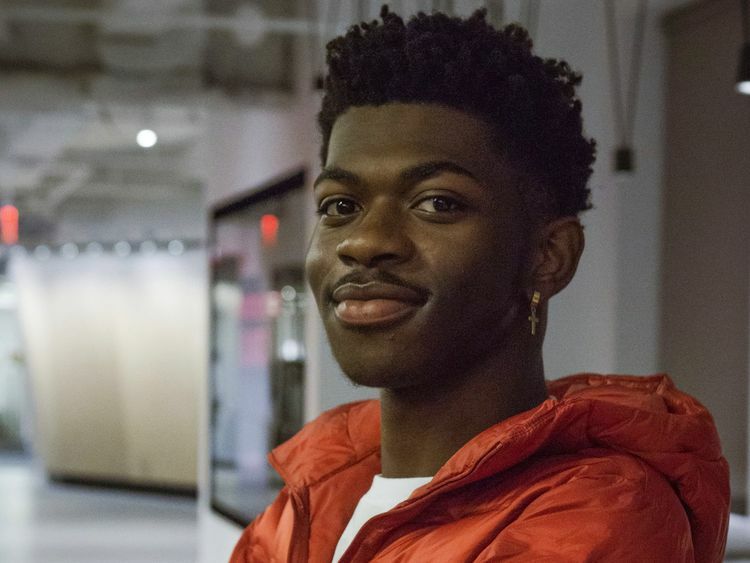 Lil Nas X was recently signed to Columbia Records. The song has spawned dance videos and got a shout-out on social media from Justin Bieber. Texas Tech’s basketball team posted a video of the team dancing to the song in the locker room and country singer Jake Owen tweeted at the rapper, saying he wanted to jam with him.